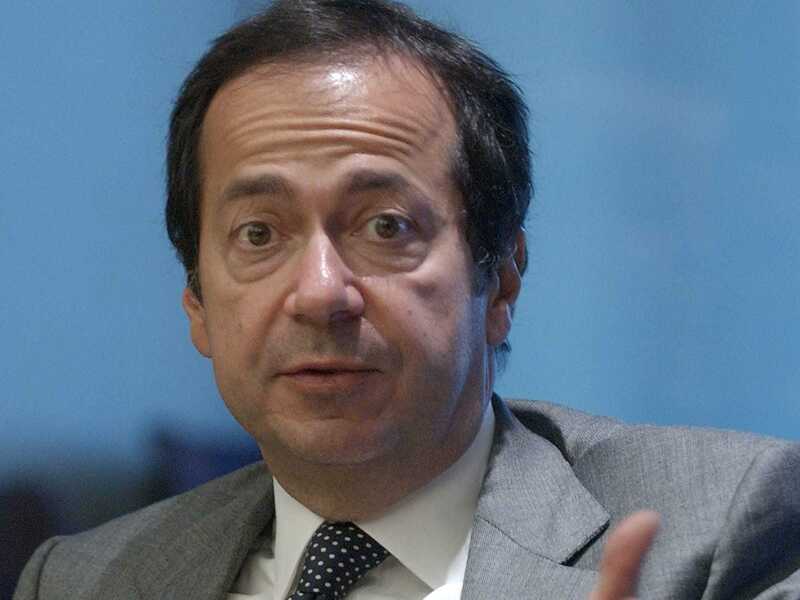 Three of John Paulson’s funds within his hedge fund, Paulson & Co. made HSBC’s list of worst performing funds of 2014. Now that we’re in November, you’re going to start seeing a lot of these. 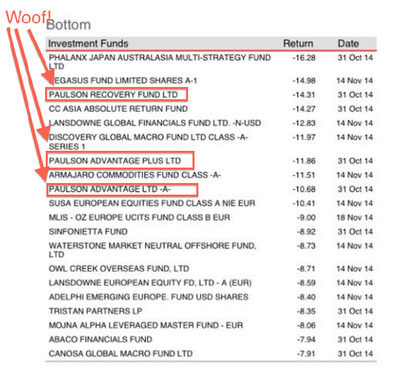 All three fund’s — Paulson Recover, Paulson Adavantage, and Paulson Adavantage plus were within the top 10 worst performers. We got the list via @LadyFOHF on Twitter, you can check it out below. Paulson runs a $US19.1 billion fund overall, and the fund’s on this list only make up $US4.5 billion of that — so it could be worse. However, the problem is that while Paulson’s other funds may not have made the list of worst performers, they’re also not doing that great this year either. Last month, Paulson’s biggest stock holding, pharmaceutical firm Shire, crashed when it announced that it would not complete a merger with Abbvie, another pharma. The stock fell 22% in one day. Betting on this deal was a huge part of Paulson’s merger strategy, and his $US9.2 billion merger fund fell 14% in October, Bloomberg reported. Paulson’s other strategies include credit and gold. There’s about $US5.1 billion in the credit fund, which lost 6.8% in October. 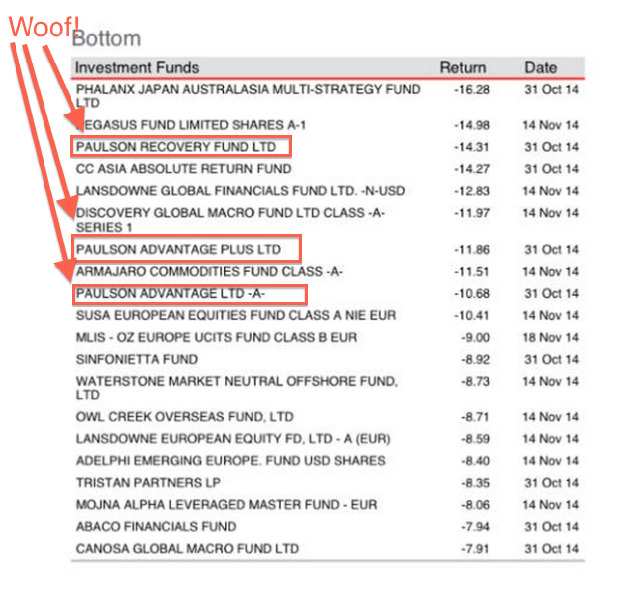 The rest of Paulson’s money (about $US1.1 billion) is in his gold fund. The commodity is down slightly having started the year at $US1201 and currently sitting at $US1196. It peaked on March 13th at $US1392. Last year Paulson told investors that he may not add to his gold fund.